Tallie is using Smore newsletters to spread the word online. The atomic number of Neon is 10 and the mass number is 20.179. Period number 2, group number 18, and the group name is noble gases. Gas is the state of matter and Neon is in the state of a non-metal. Three uses of the element Neon: Making the ubiquitous 'neon signs' for advertising. It's used to make high-voltage and switching gear, lightening arresters, diving equipment and lasers. Liquid neon is an important cryogenic refrigerant. 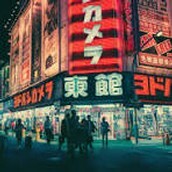 Neon signs are used to intrigue people to enter their entertainment places. Lasers are used as an activity to perform laser tag. Scientists use liquid neon as a cryogenic refrigerant for experiments.